What follows is a fantastic story about sweet art...and one of the biggest artistic compliments I have ever received! It all started about five (!) 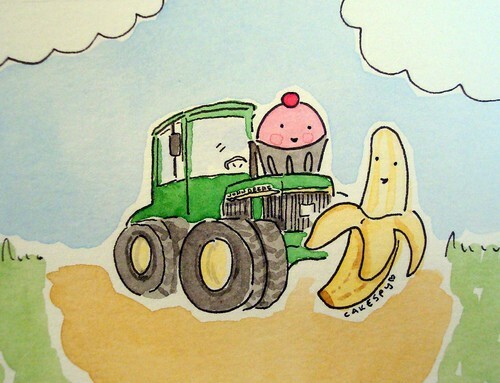 years ago, when I was commissioned to do a custom painting of a cupcake, a banana, and a John Deere tractor. It's pictured above. 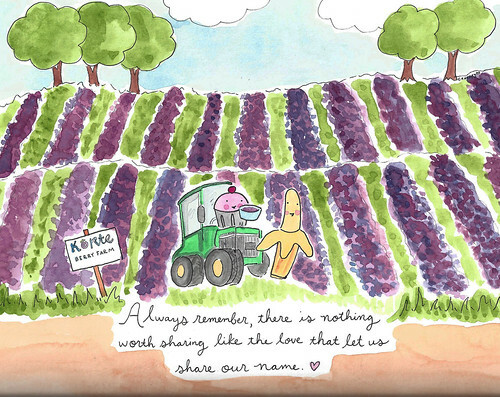 It was a fun piece to do--the person who asked for it explained that the cupcake was for her, the banana was to represent her young son, and the tractor was for her husband. So it was a family themed piece! Well, that was that, and then a few years passed. Then I was contacted by the same customer, who wanted a new piece to give to her husband for their upcoming anniversary! This time, could I re-do the piece from before, but with a berry farm backdrop? Well, OK. So I did it, and apparently it went over well, because then I received another note, asking--"could you do another?". I immediately felt panic--had it been damaged in shipping? Had I done something wrong? But no--apparently, the recipient had loved it SO much that he was scared of even the possibility of losing it, so wanted another, so they could display one, and keep the second as a family keepsake. Now if that didn't make me feel special, I don't know what would have! So I did a second painting. With slight differences, because, you know, cupcake paintings are like snowflakes--no two are *quite* the same. 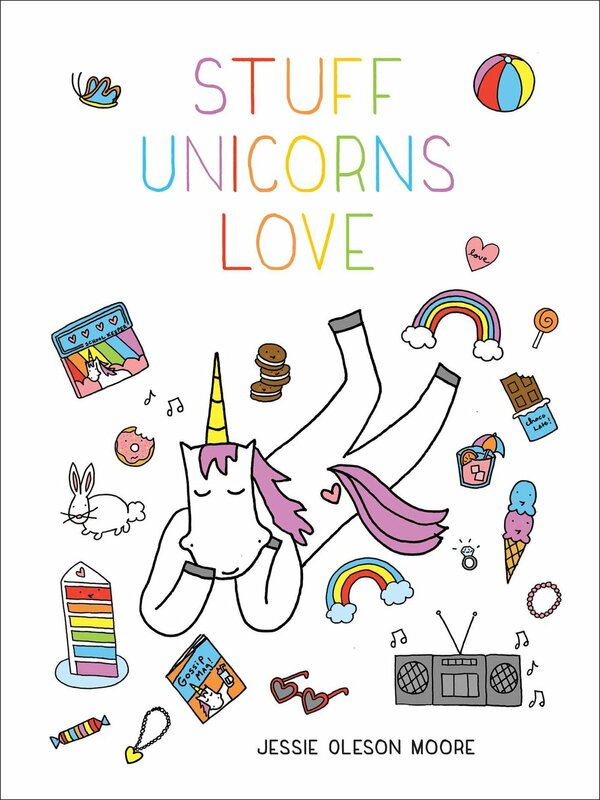 Anyhow--I just thought I would share that sweet story, because it sure made me feel good, and I thought it would make you feel good, too. And, you know, it gives me a chance to show off my artwork. Custom art available - email jessieoleson@gmail.com for more info! Other items for sale here.